"So what are you making for dinner? 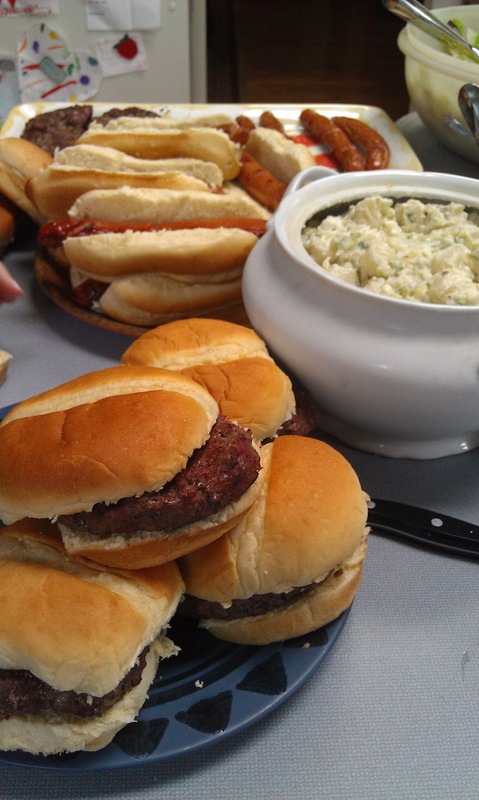 ": Burgers, Hot Dogs and Key Lime Pie! 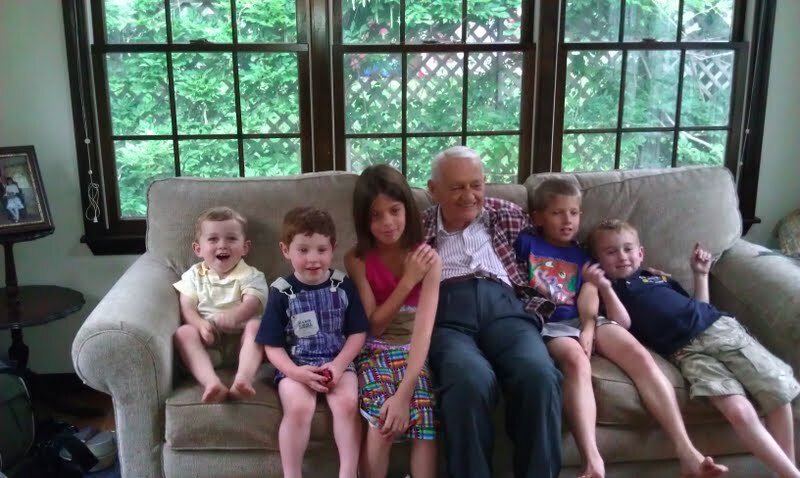 We went to a picnic at my sister's house and almost all my nieces and nephews were there with their kids! It was great seeing everyone and spending time together. Being at my sister's house always means good food! Crackers and an Artichoke and Spinach dip and Rice Cakes and Veggies with a dip! Then came the burgers, hot dogs, potato salad and a green salad. Best Potato Salad! And she does something to her green salad that I can not replicate at home. And that brings us to dessert... My sister made Strawberry Shortcake! Photo... NO! 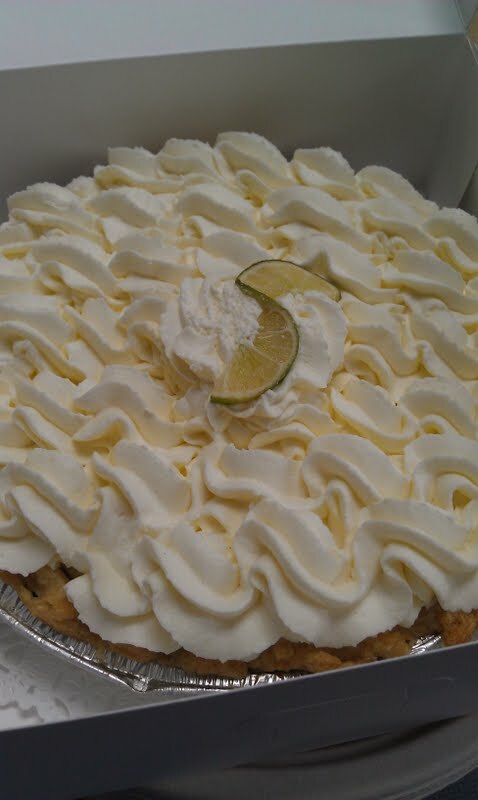 But Jeanine, my nephew Paul's wife, walked in with a Key Lime Pie! Have I ever mentioned that my two favorite pie fillings are Blueberry and Key Lime. This pie was from Michele's Pies. The bakery has won a number of awards and was on the Bobby Flay Throwdown. With those credentials I was intrigued. The crust was good... as good as, dare I say it, my sister's! And the filling was so light it had to be low fat! Maybe! 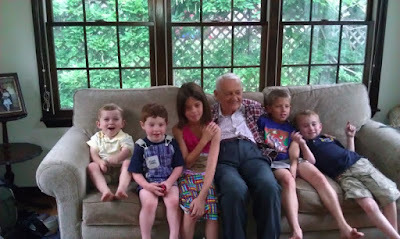 The Great Grand Kids with my Dad - "Poppa Frank"! And my dad brought some of his homemade Merlot wine and it was fantastic!